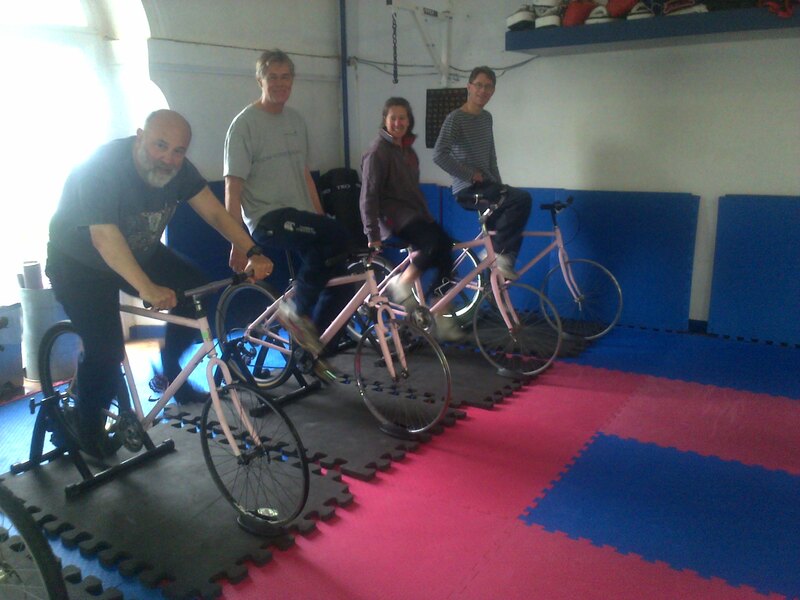 Group cycling classes with a difference! On recycled bicycles, without the loud music, yelling and lycra. This class is for people who want to gain aerobic fitness, but maybe can’t or don’t want to just go out and run, or ride a bike. We achieve gains in aerobic fitness in a 30 minute class which includes five 45 second work intervals (the hard bit..!) with between 1.30-2 minutes rest. The work intervals will be unique to yourself and be tailored to you, which will vary each visit. It’s quite good fun, too.